Cinnamon as an evergreen tree native in South China, the Himalayas, India and Sri Lanka dependant on which species. It has been introduced to many other countries and it is cultivated for its bark which is used in economic, culinary and medicinal applications. It is one of the oldest spices known and has been recorded by different countries dating back to 2700BC. There are over 250 different species of Cinnamomum spp; scientific research has mainly employed Cinnamomum cassia and C. zeylanicum. Cinnamon is cultivated in moist well drained soil, grows happily in partial shade. 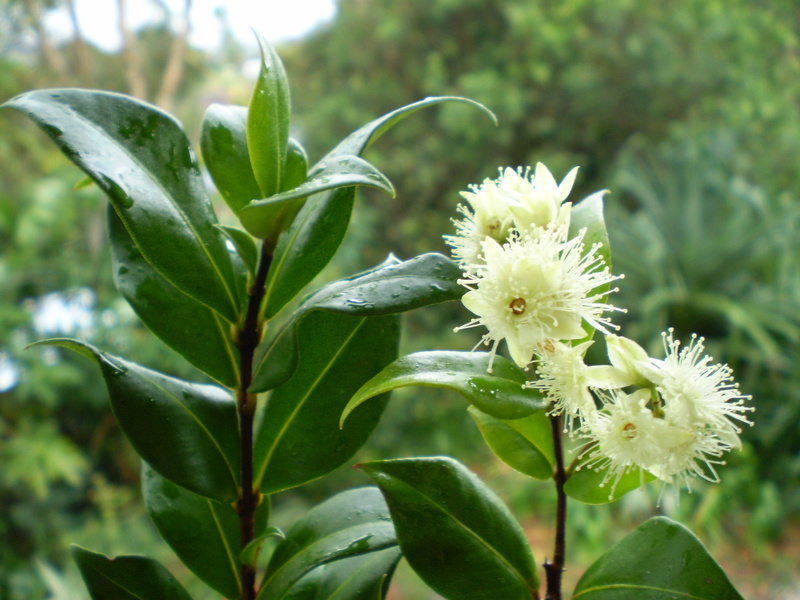 The tree can be propagated by ripe seed or cuttings from first year growth. Bark is harvested, peeled and dried into quills ready for consumption. Young branches are smooth and brown in appearance. Leaves grow in opposite formation new growth is red in colour developing to green when mature, are ovate with three prominent veins and are leathery in texture. Fruit forms as a fleshy ovoid drupe containing one fertilised seed turning dark purple to black when it is ripe, similar in size to an olive. Flowers are bisexual, small and pale yellow and grow in the axillary or terminal panicles. Humans have used cinnamon for thousands of years; the spice played an important role global economics enabling colonial expansion during the 16th Century. Holland cultivated this spice improving its economic position in world trade. 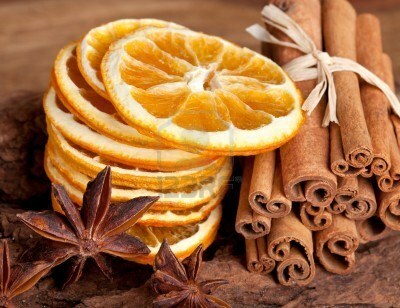 Cinnamon has been used as a spice flavouring food and in perfumery. It has been cultivated and imported throughout the world for its economic, culinary and medicinal uses. Due to extensive cultivation this spice is rarely harvested from the wild. In Ayurvedic medicine cinnamon is used for hyperacidity, asthma, constipation-predominant IBS (stimulating digestive enzymes), dysentery-predominant IBS (to clear kapha and stimulate digestive enzymes), conjunctivitis, bronchitis, colds, congestion, water retention, hiccups, nausea, muscle tension and vomiting. In Traditional Chinese Medicine (TCM) cinnamon is used as a warming remedy indicated for ‘exterior cold’ or ‘wind-cold’. It is contained in several TCM formulas including Ma Huang Tang – Ephedra Decoction and Gui Zhi Tang – Cinnamon Twig Decoction, both formulas are diaphoretic enabling interior cold to be released through sweating. It has been known to the Chinese since 2700BC and given to patients who are deficient in Heart Qi and Yang. 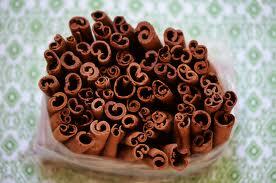 Western Herbal Medicine uses cinnamon as a warming remedy for patients with a common cold or influenza. It supports patients with anorexia or who have suffered weight loss, stimulating appetite. Its antispasmodic and carminative actions are employed for people who experience colic, diarrhoea and indigestion. Cinnamon has also been used historically to ease toothache, arthritis and menstrual disorders and clear up urinary tract infections. Cinnamon contains up to 4% volatile oils. Cinnamyl acetate is contained in high proportions and may be converted into aldehyde. Phenylalanine is a precursor of cinnamic aldehyde and eugenol. Cinnamon’s sweet taste is due to the cinnamaldehyde content. An alcoholic solution yields a blue colour when mixed with ferric chloride. C. cassia is more astringent than C. zeylanicum. Research into cinnamons effects on sugar and fat metabolism has achieved significant results in animal studies. Cinnamon’s FBG reducing potential can be understood through its polyphenol content which is antioxidant in effect. Cinnamon is recognised as a functional food source of antioxidants which help to decrease oxidative stress by inhibiting the enzyme 5-lipooxygenase improving insulin sensitivity. Antioxidant effects can be measured by oxidative stress markers enabling researchers to analyse the links between cinnamon and changes in glucose or lipid profiles. Plants are known sources of antioxidants which neutralise free radicals, endogenous or from external sources. Free radicals cause the body stress damaging cells and tissues within the body e.g. lipid peroxidation. Cooking and digestion of cinnamon has minimal impact on the levels and action of antioxidants and polyphenols. Cinnamon may affect glucose metabolism through its coumarin content. Coumarins can cause photosensitive reactions which may produce allergic reactions; one patient taking cinnamon did develop a rash which resolved after discontinuing supplementation. 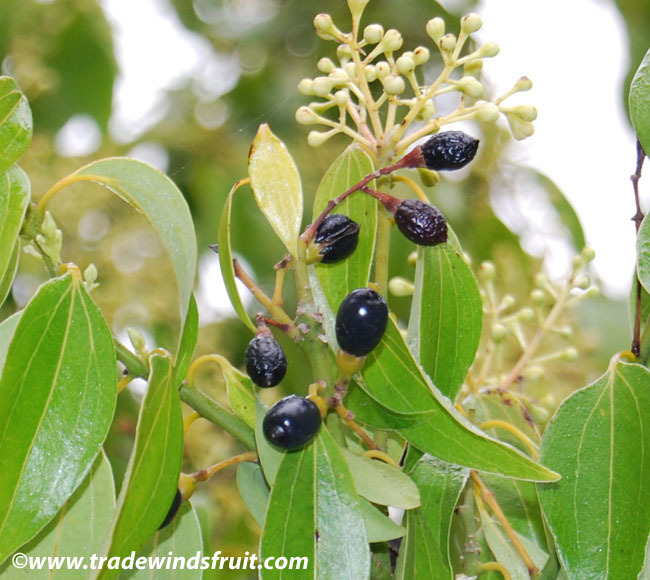 Coumarins are forms of flavonoids which occur as glycosides; they have a role in plant metabolism and immunology; medical actions include: hypotensive and oestrogenic effects. Oestrogen has a physiological effect on metabolism and reduced blood pressure can improve risk factors of NIDDM. Aqueous extracts of cinnamon have produced biologically active insulin like action through in vitro research. 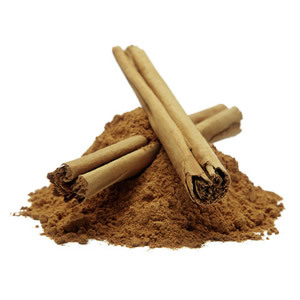 Research on cinnamon has focused on several of the actions and applications of the spice and its essential oils including its antimicrobial, antifungal, antioxidant and antibacterial effects. Areas of research include cancer, diabetes, hypertension and digestion. Nishida et al reported that cinnamon is effective in inducing apoptosis (cell death) to HL-60 cells which are involved in cancer (2003). Cinnamon’s anti-tumour action was statistically significant in this in vitro primary research. In TCM cinnamon is a component in a formula called Minjin Yoei To (NYT) which is prescribed to patients with lung cancer, evidence shows positive results in tumour marker levels and symptoms in patients with a lung carcinoma taking NYT for seven weeks. Lipid and glucose metabolism, antioxidant, insulin sensitizing and insulin mimetic have been investigated in order to explore and discover the effects cinnamon has on diabetics. The majority of research conducted regarding cinnamon and diabetes have concluded that cinnamon is beneficial its prevention and control although there are conflicting studies. Analysis of cinnamon and lipid metabolism discovered that animal studies were more effective that human trials. Disorders of lipid metabolism can lead to health conditions such as hyperlipidaemia, diabetes, obesity and cardiovascular diseases which increase the risk of further health implications. Cinnamon has been used traditionally for digestive conditions of the gastrointestinal tract-GIT which has a major role in lipid metabolism as it synthesises apolipoproteins required to transport lipids around the body and resynthesizes triglycerides. When levels of cholesterol and triglycerides are high health risks ensue including atherosclerosis, heart disease, stroke and hypertension although lipids are necessary for health with roles in energy homeostasis, reproductive and organ physiology. The use of statins to manage and reduce high levels of cholesterol is current procedure in orthodox medical professions once lifestyle factors have been explored. There is conflicting viewpoints on the use of statins in lowering lipid levels. Several metabolic disorders occur due to insulin resistance and research into cinnamon discusses its potential insulin mimetic properties. Research has looking into cinnamons effect on fat metabolism with mixed results. It has been over four decades since the discovery of plasma lipoprotein transport systems in the body which have identified that fat production actually occurs in the liver and gastro-intestinal tract. The link between high lipid levels and cardiovascular disease (CVD) – hypertension, atherosclerosis and hypercholesterolemia has been explored and researched and the results are used by modern medicine to predict, prevent and treat people with lipid disorders. Further research is being done to determine how to lower lipid profiles and prevent cardiovascular diseases from occurring. Cinnamon has the potential to activate lipid metabolism, further primary research should include human factors such as exercise levels, the state of a person’s endocrine and nervous system, diet and gender into account as current research has shown that these have an effect on fat metabolism. Future research has been highlighted in to cinnamon’s potential to protect nerve cells from damage highlighting possible preventative strategies in the prevention of Alzheimer’s disease. Vitamins (mg/100g) B1 0.14; B2 0.21; C 39.8; niacin 1.9; A 175 I.U. Cinnamon has an anti-microbial, anti-fungal and anti-bacterial action helping to combat infections such as the common cold and influenza. It supports the body’s removal of toxins and act as a pain reliever. Clinical applications include flatulent dyspepsia, colic, diarrhoea, common cold, dyspepsia, abdominal distension from flatulence and nausea. The volatile oils in cinnamon have lipolytic properties supporting the body in the metabolism and digestion of fats suggesting a potential role in the treatment of diabetes. There is a potential for an allergic or irritant adverse reaction to cinnamon use due to the content of cinnamaldehyde in volatile oil. The German E Commission has approved both C. cassia and C. zeylanicum as safe herbs with medicinal properties. The bark is the approved part of cinnamon for use as a spice or for its medical properties and is generally regarded as safe even during pregnancy. Cinnamomum cassia contains coumarins which can damage the liver in high quantities which are not present in negligible quantities in C. zeylanicum. A study conducted for the Food Standards Agency assessed the dietary intake of cinnamon in multi-ethnic populations within the UK determined that there is no risk regarding coumarin levels when ingested as part of the diet. In the Handbook of Herbs and Spices it states that ingestion may cause nausea, vomiting and possible kidney damage and recommends that it isn’t used in pregnancy. The maximum dosage of coumarins to ensure safety is 1.0mg/kg for coumarin in foods and 2.0mg/kg for coumarin in spices, pregnant women are recommended not to exceed a daily intake of 0.7mg/kg. This entry was posted in acid reflux, cinnamon, Complementary and Alternative Medicine, decoctions, diet, digestion, ecology, Environment, gardening, grow your own, health, Health and Wellbeing, Herbal Medicine, herbal remedies, Herbalism, herbs, indigestion, infusions, metabolism, nature, nutrition, Taste, Tincture by Herbs for Health and Wellbeing. Bookmark the permalink. Great information. Lucky me I discovered your blog by chance (stumbleupon). I’ve book marked it for later!